Today I want to take a look at the Hi-Tec Men's Bandera Hiking Boots. Hi-Tec have been around since the 70’s and so have been making footwear for a long time. They’re a reputable brand and I have owned varying shoes and boots from them over the years. 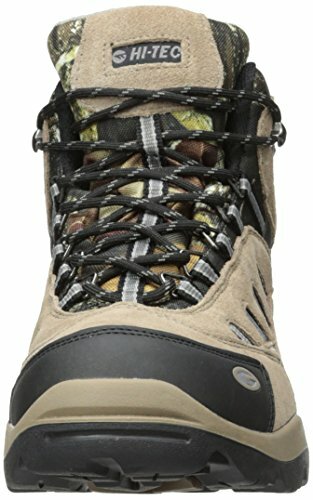 These are reasonable entry level hiking boots for light hiking but don't expect to get years of use out of them. There is reasonably good value for money here though. Insole not adequately comfortable; laces can be hard to tie to stay securely closed; not suitable for harder hiking e.g. off-trail, backpacking, etc. 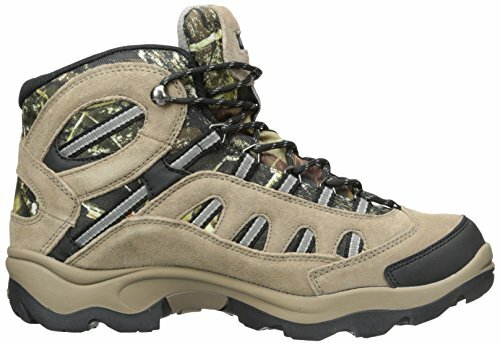 The Hi-Tec Men's Bandera Mid Hiking Boots are a top seller on Amazon. That got me intrigued so I thought I would look into it a bit more to see what I could find. The first thing that caught my eye was the price. It comes in and around a very reasonable 50 to 60 bucks so if there was any kind of quality in it, it could really line itself up as a good hiking boot option, especially as a starter model for folks just getting started on the trail. From a style and look perspective, first impressions were that the Bandera has a very technical style to it. The upper is constructed using waterproof suede leather and mesh with striped nylon straps running alongside it. The Logo is quite prominent both on the tongue and the bottom rear of the boot as well as a logo mold on the front. You won’t forget your branding in a hurry that is for sure. All of that rests on top of a MDT rugged rubber outsole. There are four color combinations to choose from 1. Brown/Olive/Snow 2. Camo 3. Taupe/Gold 4.Bone/Brown/Mustard. All in all the boot looks pretty good from an aesthetic point of view. It lists most of the features I would look for in a hiking boot but I wanted to do a deep dive into each of these key areas to see what I could find in terms of performance, comfort, durability and so on. Looking at comfort the first place we’ll start is with the insoles. The boots feature a removable contoured insole made from foam. However from researching into this pair of boots, it seems that many folks had to either replace or shore-up the insoles in them. Not a big deal perhaps but you may be looking at factoring in another $20 for a good pair of insoles to go with your hiking boots. Not the end of the world if the boots come up trumps in all other areas as the price is so reasonable but something you may need to consider. Personally, I don’t like to sacrifice any comfort on the trail where I can avoid it and I would expect an insole to do its job adequately on a new pair of hiking boots. I also go off trail very regularly so not ideal if the insoles aren’t giving me the comfort I need. The collar of the boots are, as you can see in the photo below, very thick, as is the tongue so a good layer of cushioning surrounds the lower ankle and upper foot. I like this feature but it needs to work in conjunction with the lacing, many times extra padding can lead to difficulty tying laces securely. The laces are tied using a Gilly lacing systems and, as mentioned in the last piece, I did find a lot of comments from folks having difficulty with the laces on the Bandera’s. The laces also have cloth lace retainers on the side which, from my experience, can give quite easily. Once a lace breaks through one of those, your hiking boots are pretty much done as you can’t replace them so go easy! Now, I feel at this point I should add a reminder about the price tag on these boots being so reasonable. For 60 or so bucks, I wouldn’t be expecting a lifelong love affair with a pair of boots 🙂 As long as they hold up for a reasonable period, I would be OK with some teething problems. The Banderas come with a Moisture-wicking lining to help keep the foot dry but I don’t think the boots would be overly breathable. Mesh isn’t as good as Gore-tex but I think for a basic two or three season, in fair climates, trail hiking that shouldn’t be a big issue. The Bandera’s are listed as being waterproof however, waterproof is a very broad term. It really depends what kind of constraints you are putting them under. From reading what many users have written about this particular requirement, it seems that in reasonable conditions they hold up but for heavy hiking off-trail use, they don’t keep your feet dry. The listed weight is Weight: 21.1 oz. so not heavy. Looking at how the boots are constructed I would expect this to be the case. Not heavy on the feet for light day hiking but probably not sturdy enough for longer any longer backpacking trips or that kind of thing. The next thing to look at is sizing. The Bandera’s come with a wide option which is great to have for many folks. However, having read about 100 odd reviews on these boots, probably the most common flag to watch out for was in the sizing department. It seems that you need to order a half size bigger than your actual size, some folks even suggested going a full size but I think that would probably be too much. So, if you’re normally a size 10, go 10.5 or, on the outer reaches, an 11. With regards to break-in, the Bandera’s generally seem to take almost no time to break in. With so much cushioning on the tongue, ankle and upper I would expect that to be the case. The shaft of the Hi-tec Bandera hiking boots for men measure approximately 5" from the arch which is about typical for a mid hiking boot. The ankle is supported with a steel shank to help shore up support and stability while moving. As referenced already, the ankle and upper foot area is further protected by a thick padded tongue, approximately 6” in height. The tongue is gusseted, which I think is the only way to go to help keep little bits of shrapnel out of the inside of your boots. The mid-sole, the piece between the outsole and the upper, of the boot is constructed using EVA. EVA stands for Ethylene-vinyl acetate. It is a polymer that has good stress and impact resistance properties. In terms of support the insole issue mentioned above is applicable here as a lack of comfort on the insole will have a knock-on effect on stability. The outer sole of the boot is not solid, it is designed with air pockets to provide support cushioning. That isn’t necessarily a bad thing depending on what you need the boots for. For example, if you’re hiking a lot over heavy rocks and stones this will likely become an issue at some point as the pockets may give as stones break through. If you’re mostly light trail hiking, it shouldn’t be a major problem in terms of support and stability. The Bandera features a traction rubber cupsole. A cupsole is an outsole like a cup around the sole of your foot. Cupsoles are premolded to fit a boot during the production process. At the end it is glued to the bottom of the shoe. The cupsole is covered on the outside by a Carbon rubber outsole which offers non-marking and features multi-directional traction for added grip. As mentioned above the soles of the boots are not solid and are cushioned with air pockets. This is common enough in cheaper models of boots and probably ties in with the very reasonable price. Again, this should not be an issue for light hiking use but will cause issues at some point under heavy off-trail use. The first thing to mention is that the Banderas come with a 1 year warranty from date of purchase but there is a proviso. They are warranted to to be free from manufacturer's defects, as long as the damage is not caused by wear-related use. This of course leaves room for interpretation but if something busts after only a month or two I think they would be hard pushed not to offer you something. Short of hiking over hot lava or some other mad and extreme conditions, the basics should be expected to hold up for a period under reasonable conditions. Based on all the reviews I have read, the construction, the brand, etc. 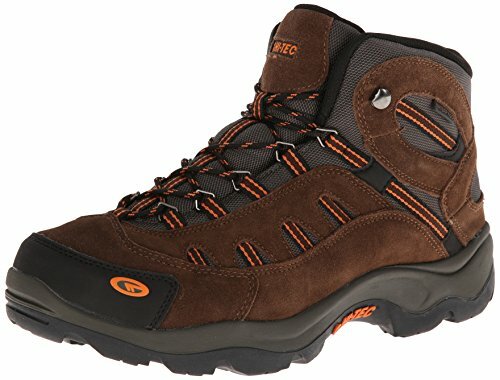 I think that overall, the Hi-Tec Bandera Hiking Boots are good boots for the price you have to pay. You can’t go far wrong for what you're paying, but you need to set your expectations correctly. Click on the image at the link above to check live price information on Amazon. Anyone who thinks you’re going to get years of hard hiking use out of a sixty bucks pair of hiking boots will be disappointed. If you are new to hiking or a casual hiker and just like to get out on the trail every once in a while for a light hike in the hills, these could be a fine and economical choice. If however, you’re an established hiker and / or backpacker then I think you need to look elsewhere as you will probably want tougher boots that can handle a much wider set of terrain and conditions. I recommend that the best uses for the Hi-Tec Banderas are for light hiking staying on well established trails. I don’t think they’re really suitable for any hard off trail hiking, backpacking or that kind of thing. They’re a lightweight mid hiking boot and so I would keep their use light. As well as hiking, if you do a bit of fishing, they might work fine as a pair of boots to protect your feet while walking to and from your fishing spots, that sort of thing. If you need a pair of sturdier boots for normal day-to-day use, then the Bandera’s should fit the bill well too. Finally, if you’re new to hiking and just testing the waters to see if you like the whole Great Outdoors thing, the Hi-Tec Bandera Mid Hiking Boots could be a great option to start with. This is mainly because of the price. You won’t break the bank with these boots and if you decide that hiking isn’t for you, you can still utilize them for normal day-to-day use. As of the date of this post, from about 750+ reviews across multiple retailers, 83% gave the Bandera boots 3 stars or more, 73% 4 stars or more, so they are definitely doing something right and ticking a lot of boxes for a lot of people. Read user reviews in Amazon. Not suitable for harder hiking e.g. off-trail, backpacking, etc. In conclusion, from my perspective, the Hi-Tec Bandera Hiking boots for men are a reasonable entry level pair of hiking boots and are pretty good value for money as long as you don’t expect too much from them. For the newbie or casual day hiker on light even trails, they should do fine for a reasonable length of time. For anything more, in terms of hiking, I think you would be better advised to part with a bit more cash and get a sturdier pair of boots. However, in saying that, it is worth reiterating that 89% gave the Bandera boots 3 stars or more, 78% 4 stars or more, so they are definitely doing something right and ticking a lot of boxes for a lot of people. For entry level hiking that will last the course in harder terrain, the Meindl Vakuum boots are an excellent option. I’ve mentioned the price numerous times throughout this review but I think it is worth concluding with it again. The Banderas offers a good price for a reasonable pair of hiking boots from a respected brand. As clearly mentioned throughout this review too though, be sure to set your expectations of them correctly in advance. I hope you found this review useful. Please comment and / or share it around your networks if you did.If you're still unsure what type of hiking boots you should get, check out the hiking boot buying guide and our hiking boot recommendations. Do you use the Hi-Tec Bandera boots? What was your experience with them? I don’t believe so Joan. Maybe check with the seller before you buy, just to be sure. A very good and thorough review of these boots and I can’t disagree with any of the points made. I, unfortunately, didn’t have a great experience with mine.I got some for Christmas last December (2017) and as per the very many reviews I had read I got a half size larger than my foot size. As I don’t own a car I walk everywhere and can easily cover an average of 7 to 8 miles a day both on and off road. From the outset I expected a small breaking in period and for the first week the boots rubbed my little toe but that soon subsided as the boots gave a little. The problem however was the heel of my left boot, it felt like my Achilles tendon was being held in a vice when I had the boots on and was so very painful after I’d taken them off that I’d be limping all evening and the morning after. There was no telltale red rubbing marks on my ankle I tried everything from lacing the boots tightly, lacing them loose, wearing thick socks, wearing thin socks, sticking padding to my ankle, nothing helped. You’d buy these boots so that you can enjoy being outside walking, but when all you can concentrate on is the pain in your foot it rather takes the enjoyment out of walking. For many people, who want a cheap boot for light trail work at the weekend the Bandera’s would probably be perfect, for me they were just painful. Hi Ed, I’m glad you found the review thorough and good. I’m sorry to hear that you didn’t have a good experience with the Bandera’s. I think they are a touch and go pair of boots, some might get some decent use out of them, but a lot of other folks, like yourself, may well not. You definitely did the right thing by packing them in if they were causing you pain, much better to do that than to continue using them, as continued use could easily have led to further problems. I’m not familiar with the Karrimor Mount mid boot’s. I just had a look online and they have some great reviews on Amazon, they also look to be at a very good price too as you say. I will definitely take a closer look when I get a chance. I’m glad you found a pair of boots that are comfortable for you and you’re happy with. Walking 7 to 8 miles a day, you definitely need something you can be comfortable in. I think your summary is spot on. For light trail work at the weekend, the Bandera’s might just do the job for many people, but I wouldn’t depend on them for too much more than that.